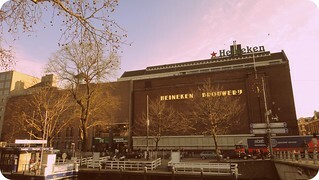 Attendees of MEMS Executive Congress will be treated to a strolling dinner and a tour of the historic Heineken Brewery! Group transportation will be provided to and from the event venue. The Heineken Experience opened its doors in 2001 and developed into one of the most popular tourist attractions in the Dutch capital.The evening will consists of a self-guided walk through the old brewery in the heart of Amsterdam. Throughout the tour employees will explain about the ingredients, the beer and the brewing process.Past the stables you will enjoy the Brew You Ride, where you can experience how it is to brewed and bottled as a beer. The second part of the tour shows you the Heineken Brand in old and new commercials, photo and video opportunities.Be the DJ or crack the case like James bond in Skyfall and Karaoke with your colleagues. Bus departs the hotel lobby at 18:00 hrs.